While berries can pretty much be found year-round at most supermarkets, there’s nothing like getting them during the summer when they are at their peak. I have definitely made the most of them this summer incorporating them into quite a few desserts – as the pièce de résistance on a lemon & pastry cream cake, as a topping to 4th of July themed cupcakes and most recently in raspberry cupcakes. And when I saw that I had a pint of blueberries sitting in my refrigerator a little longer than I would have liked, I decided it was time to use them before losing them. I opted on making a recipe that I love using for blueberries – and one that I have blogged about before – a Blueberry Crumb Cake. Although, this time around I made two tweaks to the recipe…. 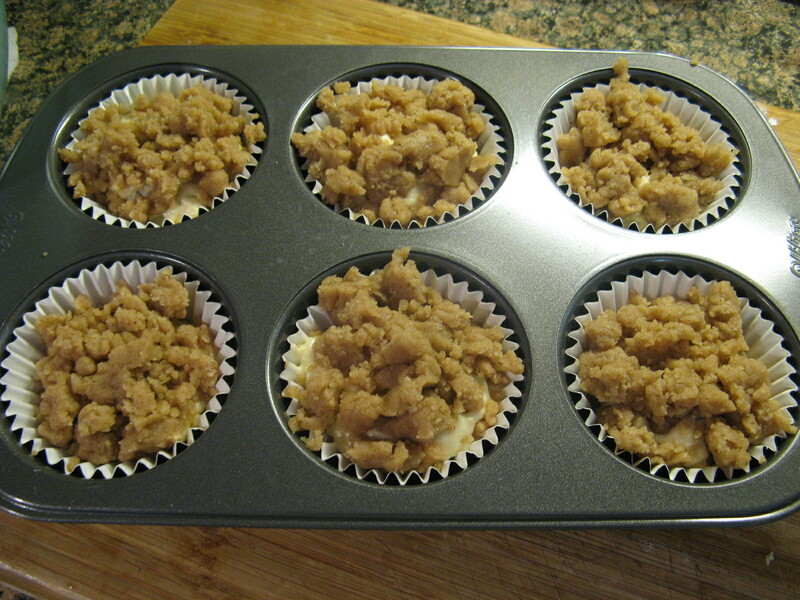 Which I still topped with streusel before baking. And if you are wondering if the flour covered blueberries worked, just take a look. 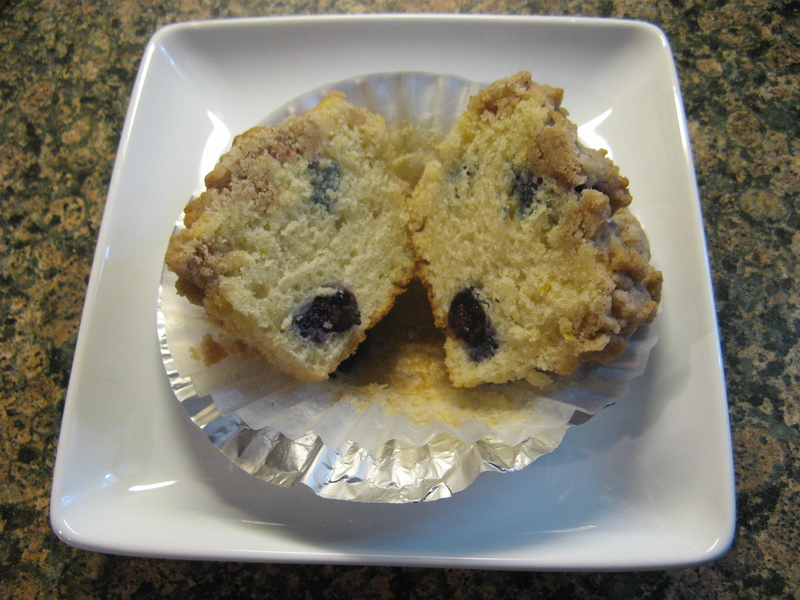 You can see hints of blueberries at the top of the muffin near the crumb topping as opposed to seeing all of the blueberries at the bottom. Preheat the oven to 350 F. Line 8 muffins cups with paper liners. Combine granulated sugar, brown sugar, cinnamon and nutmeg in a bowl. Stir in the melted butter and then the flour. Mix well and set aside. In a medium bowl sift the flour, baking powder, baking soda and salt together, set aside. In the bowl of an electric mixer fitted with the paddle attachment cream the butter and sugar on high speed for 4 to 5 minutes, until light. Reduce the speed to low and add the eggs, one at a time. Then add the vanilla, lemon zest and sour cream. 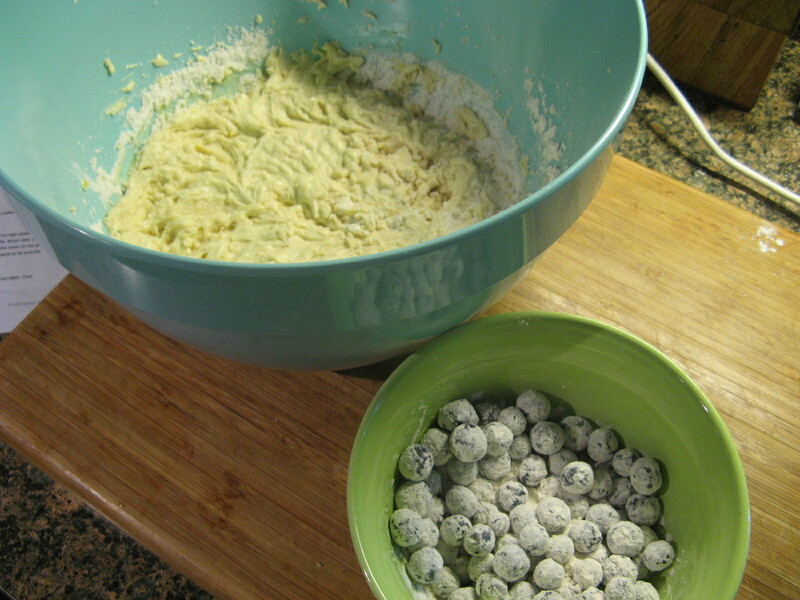 With the mixer on low speed, add the flour mixture to the batter until just combined. 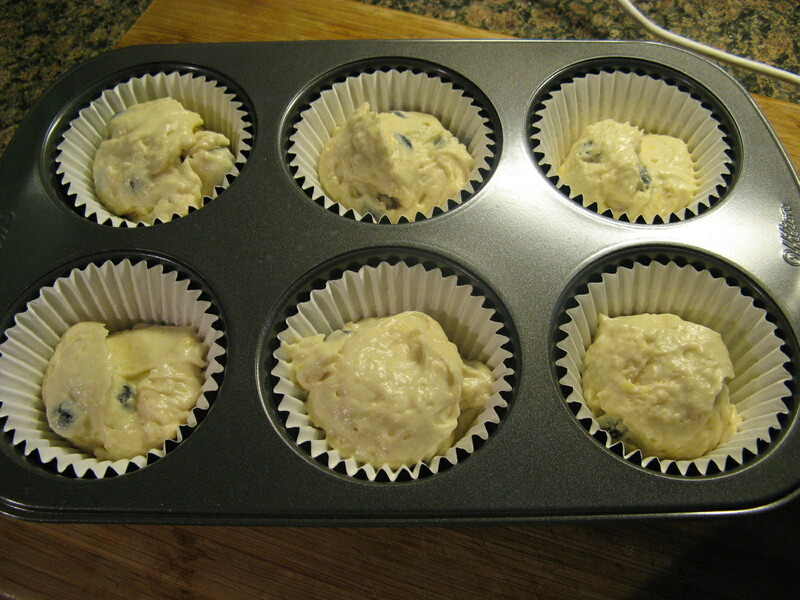 Fold in the blueberries and stir with a spatula to be sure the batter is completed mixed. 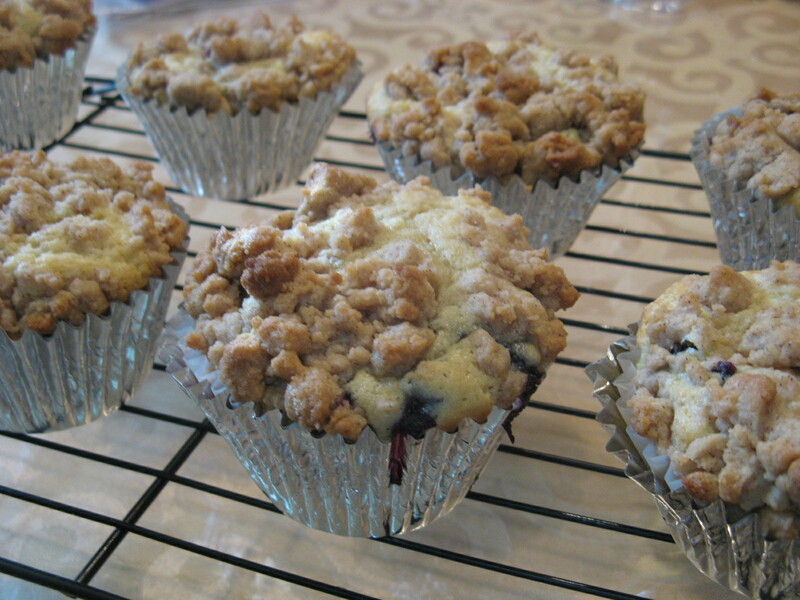 Divide the batter among the muffin cups – I used an ice cream scoop – and crumble the streusel over the batter. Bake for 20 – 25 minutes, until a cake tester comes out clean. Remove the cupcakes from the tins and let them cool completely on a wire rack. I love blueberry crumb. Always so yummy!